Here are a few partners with whom Chartier Créateur d’harmonies collaborates in one way or another through sharing his aromatic science. Whether it is the creation of customized recipes, creating new products or drawing aromatic maps, Chartier’s main goal always remains to push back the boundaries of gastronomic pleasure and flavors for consumers, on and all. The universe of Chartier Créateurs d’harmonies is limitless. Please peruse our partners’ websites for great discoveries! 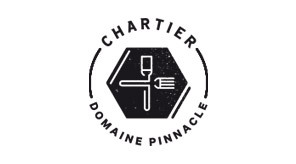 Established in Frelighsburg, Québec, Domaine Pinnacle has asked CHARTIER Créateur d’harmonies to created recipes that incorporate some of their wildly popular products, locally and abroad, such as the Ungava Premium Dry Gin. Already, a booklet of some of those recipes — created by Chartier Créateur d’Harmonies and his friend and collaborator Stéphane Modat, chef of the Fairmont Château Frontenac restaurants — titled “Le Guide de Recettes Aromatiques Saveurs d’Ici” is being offered for free when purchasing a Pinnacle product at SAQ branches and at Domaine Pinnacle. Moreover, additional recipes will be available to discover in the coming weeks as blog posts, photo galleries and videos. François Chartier and Stéphane Modat were inspired by the aromatic structure of the Domaine Pinnacle products in order to create aromatically tailored dishes and cocktail recipes that perfectly pair or incorporate those products. The photos are by Stéphane Modat. 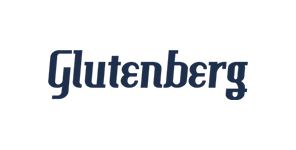 Inspired by François Chartier’s research as well as his worldwide best seller Taste Buds and Molecules, Glutenberg thought it would be a great idea to partner up with the renowned sommelier. As for the Créateur d’harmonies himself, this collaboration was a natural, since Glutenberg’s willingness to explore unusual ingredients in their brews allowed him to further explore his aromatic science in the realm of beer. The Série Gastronomie beers are an invitation to discover new aromatic pleasures through tailored and easy beer and food pairings. One should not hesitate to serve these beers in a wine glass so that they fully express their personality, allowing you to further appreciate them. The El Dorado Rum Company, established in Guyana, have mandated CHARTIER “Créateur d’harmonies” to develop recipes based on their popular products here and abroad, such as El Dorado Spiced Rum.